A SPACE THAT RE-SIGNIFIES “LISTENING” AS A POLITICAL ACT. A CONSTANT FLUX OF SOUND THAT BEGINS WITH YOU. SEND US A SOUND AND WE WILL BROADCAST IT. There are thousands of people screaming, who’s listening to them? 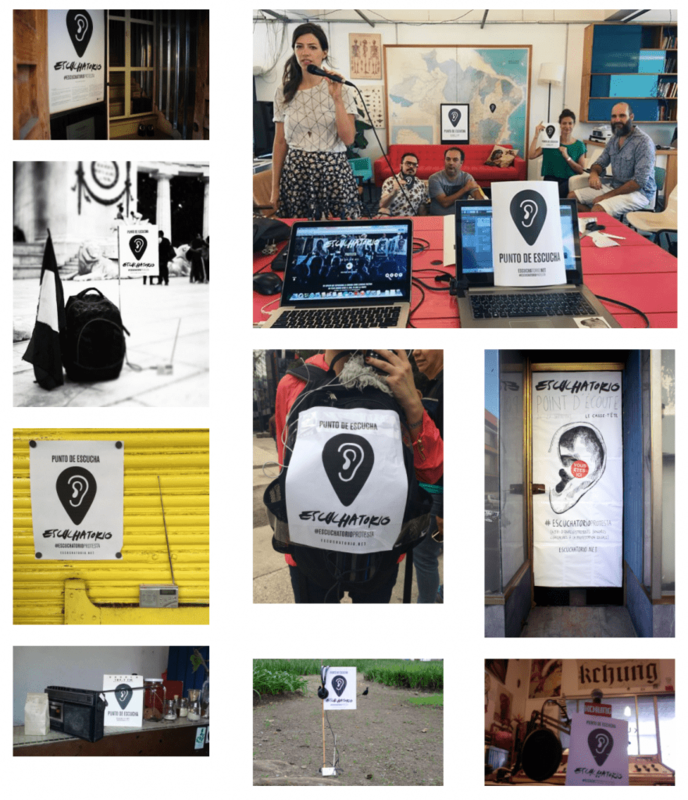 On September 26 and for 43 continuous hours we broadcasted our first “listening act” dedicated to social protest. A “listening act” also dedicated to the missing 43, and all others who have been and are not anymore. Escuchatorio is a collaborative project proposed by a group of persons, open to any ideas and suggestions.